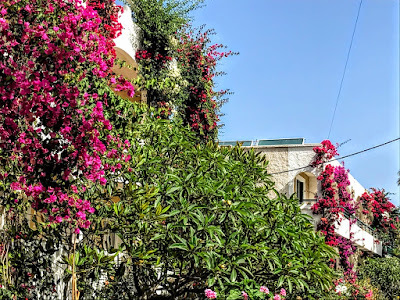 When I sit on my east-facing balcony in the Varvara’s Diamond Hotel in Platanes, the sun streams in each morning, and I am surrounded by lemon trees as I enjoy the morning sound of birdsong. 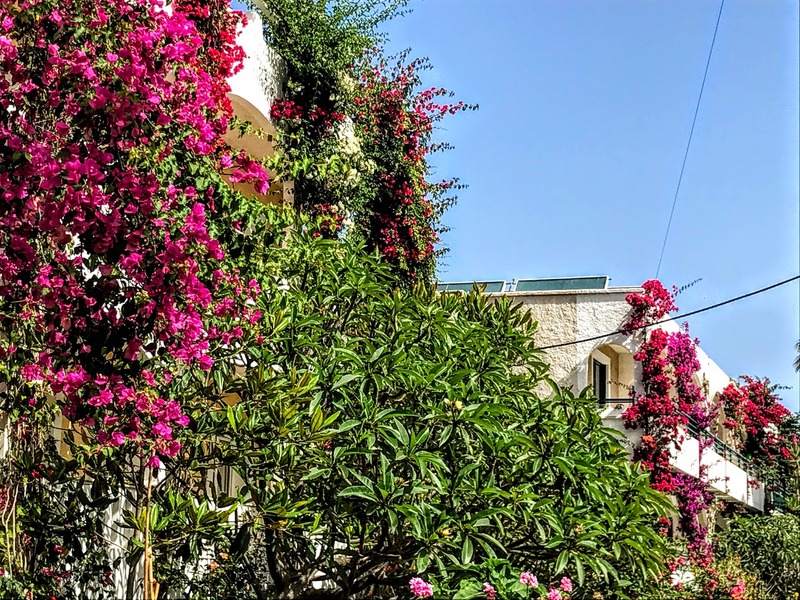 The balconies and buildings in this quiet corner of Rethymnon are dripping with bougainvillea and hibiscus, outside each hotel there is row upon row of puts of geranium lots, and there are colourful flowers and plants on every corner and on every set of steps. Combine these scenes with the rich variety of fresh fruit on display each day in the local supermarkets or the advanced use of solar panels and renewable sources of energy, and I am reminded that not only is there a unique micro-climate in Crete but there is a culturally-embedded approach to the environmental agenda and ecological issues that is quite different in Crete. Of course, many other parts of Greece are actively engaged in ecological issues. Earlier this week [4 June 2018], Thessaloniki became the first city in Greece to be recognised as a Blue Community, pledging to protect water as a human right and public trust. 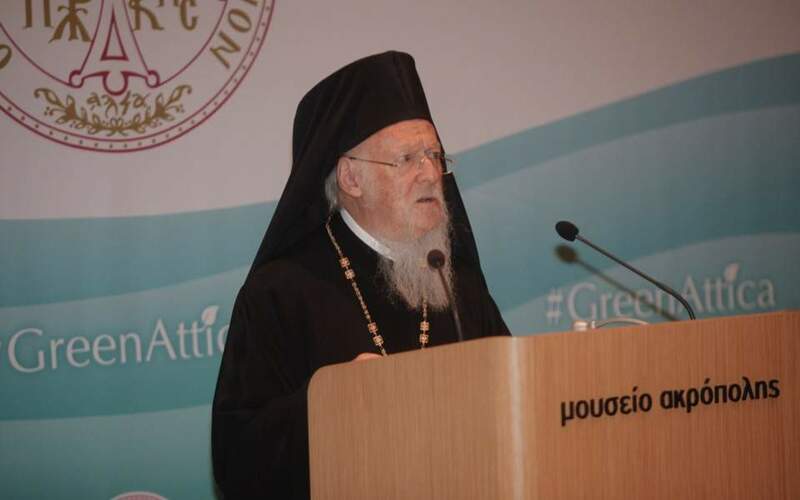 This week also saw the Ecumenical Patriarch Vartholomaios inaugurate an international environmental conference on the island of Spetses, south-west of Athens. Patriarch Vartholomaios is known as the ‘Green Patriarch’ because of his environmental priorities, and he is trying to persuade other religious leaders to join the global battle against climate change. ‘Our aim is to affirm a collaborative response to the ecological crisis, while advocating for a sustainable planet as a sacred legacy for all people and especially our children,’ he said. In his address, he warned about the dangers posed by waste in the Saronic Gulf, which contains more than 50 percent of the litter to be found in the Greek seas. The concept of the Christian as one who is called to be a ‘steward, protector and “priest” of creation, offering it by way of doxology to the Creator’ is a creative contribution from the Orthodox Church to developing a theology of the environment. in a vat of wine from Crete? George Plantagenet (1449-1478), Duke of Clarence, was the son of Richard Plantagenet (1411-1460), Duke of York, and a grandson of Edward III. He was born in Dublin Castle on 21 October 1449, and when he was baptised in Dublin his godfathers were James Butler, 4th Earl of Ormonde, and James FitzGerald, 6th Earl of Desmond. He was the middle brother of King Edward IV and King Richard III, and he played a key role in the dynastic struggle we know as the Wars of the Roses. He might eventually have become the first Dublin-born King of England. But, while he was a member of the House of York, he switched his loyalty to the House of Lancaster, and then reverted to the House of York. He was later convicted of treason against his brother, Edward IV, and was executed – the myth is that he was drowned in a vat of Malmsey wine. He appears as a character in Shakespeare’s Henry VI, part 3 and Richard III, in which his death is attributed to the machinations of Richard III. Malmsey always sounds so English to me that it could be a village in Gloucestershire or Somerset. Perhaps it could be more suitably the name of some sort of cider or scrumpy, but I could not match it with wine. How could wine have such an English-sounding name? Perhaps, I thought, it was an English term derived from some unknown source, in the way that Sherry comes from Jerez or Port from Oporto. After all, the French would never use the name ‘Claret’. Today, the label ‘Malmsey’ is used almost exclusively for a sweet variety of Madeira wine made from the Malvasia grape. Grape varieties in this family include Malvasia bianca, Malvasia di Schierano, Malvasia negra, Malvasia nera, Malvasia nera di Brindisi, Malvasia di Candia aromatica, Malvasia odorosissima, and a number of other varieties. But I have learned this week that Malmsey and the Malvasia family of grapes probably originated in Crete. 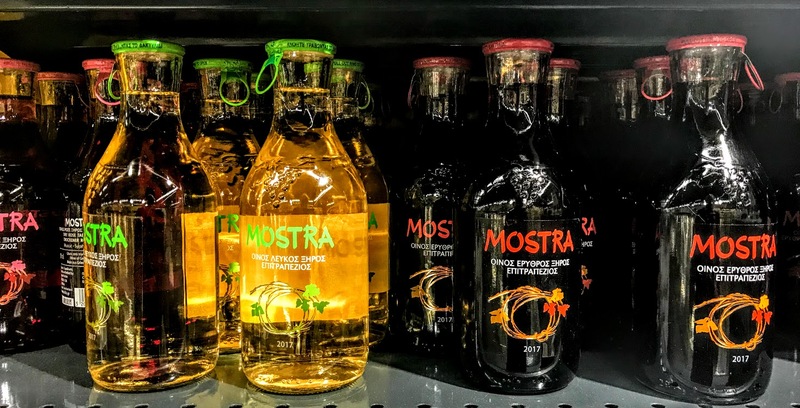 The name Malvasia probably comes from Monemvasia, a mediaeval and early Renaissance Byzantine fortress on the coast of Laconia, known in Italian as Malvasia. But others say the name is derived from the district of Malevizi (Μαλεβίζι), west of Iraklion in Crete. The area includes Fodele, said to be the birthplace of El Greco, Palaiokastro and Gazi. Monemvasia was a trading centre for wine produced in the east Peloponnese and in some of the Cycladic islands. In the Middle Ages, the Venetians became so prolific in trading in Malvasia wine that merchant wine shops in Venice were known as malvasie. 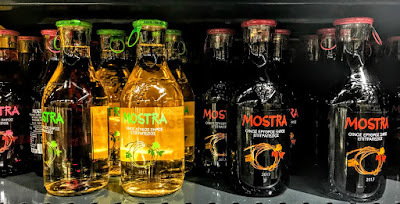 Whichever origin – and, of course, I would prefer Crete – Malmsey became one of the major wines exported from Greece in mediaeval times along with Rumney. Both Iraklion and Crete were known to the Venetians as Candia, and both Monemvasia and Candia have given their names to modern grape varieties. In Greece, there is a variety known as Monemvasia, evidently named after the port, though now grown primarily in the Cyclades. In western Europe, a common variety of Malvasia is known as Malvasia Bianca di Candia, or ‘white malmsey of Crete,’ because it was said to have originated in Crete. The Monemvasia grape was long thought to be ancestral to the western European Malvasia varieties, but recent DNA analysis does not suggest a close relationship between Monemvasia and any Malvasia varieties. 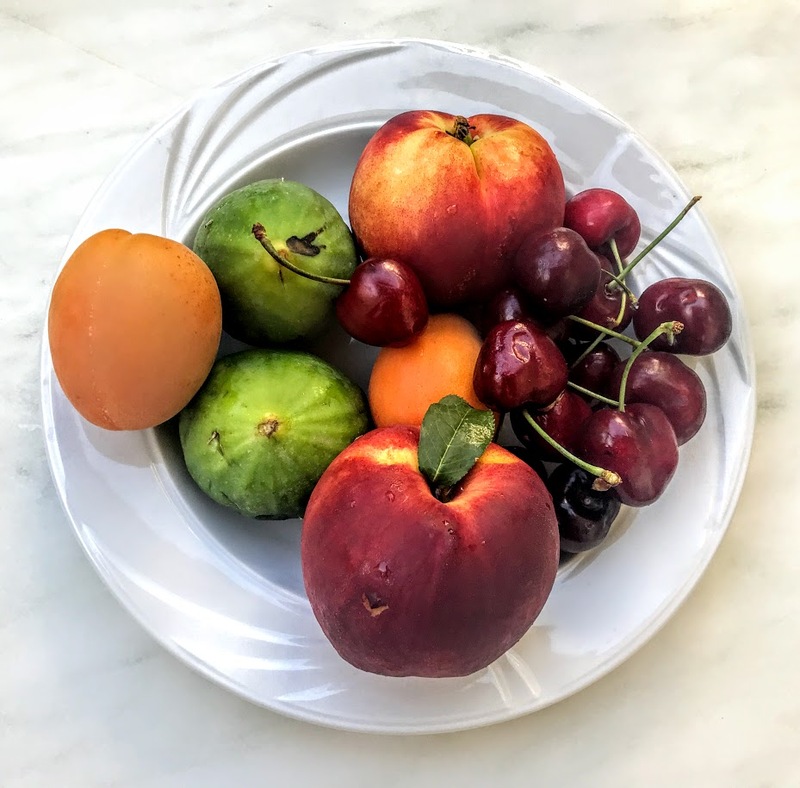 However, DNA analysis suggests, on the other hand, that the Athiri (Αθήρι) wine grape, a variety widely planted throughout Greece, could be the ancestor of today’s Malvasia. Athiri or Athiri Aspro is a white Greek wine grape used to make Retsina on the island of Rhodes. This grape is noted for its lemon character and in other parts of Greece it is often blended with Assyrtiko, or with Vilana and Ladikino. 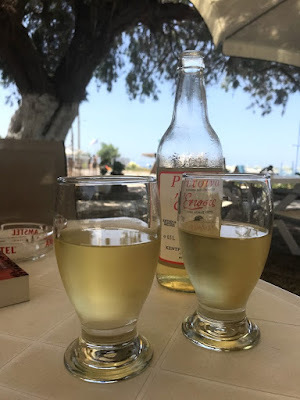 Whatever the origins of these wines, I am enjoying my wine in Crete these weeks, and, unlike the Duke of Clarence, managing to avoid drowning in a vat of Malmsey wine.